In this short article, we will discuss how to configure Spring Boot to work with different JSON mapping libraries. Jackson is the preferred and default library. 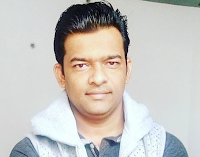 Let's discuss each of the above JSON library integration with Spring boot. Spring Boot uses Jackson by default for serializing and deserializing request and response objects in your REST APIs. Auto-configuration for Jackson is provided and Jackson is part of spring-boot-starter-json. When Jackson is on the classpath an ObjectMapper bean is automatically configured. Several configuration properties are provided for customizing the configuration of the ObjectMapper. Auto-configuration for Gson is provided. When Gson is on the classpath a Gson bean is automatically configured. Several spring.gson. * configuration properties are provided for customizing the configuration. Let's deep dive and discuss how to use Gson in your spring boot projects. If you want to use Gson instead of Jackson then it’s just a matter of adding Gson dependency in your pom.xml file and specifying a property in the application.properties file to tell Spring Boot to use Gson as your preferred JSON mapper. # Preferred JSON mapper to use for HTTP message conversion. That’s all you need to do to force Spring Boot to use Gson instead of Jackson. JSON Binding (JSON-B) is the new Java EE specification for converting JSON messages to Java Objects and back. Auto-configuration for JSON-B is provided. When the JSON-B API and implementation are on the classpath a Jsonb bean will be automatically configured. The preferred JSON-B implementation is Apache Johnzon for which dependency management is provided. That’s all you need to do to force Spring Boot to use JSON-B instead of Jackson. In the next article, you will learn how to develop CRUD RESTFul API using Spring boot 2, Hibernate 5, JPA, Maven, and MySQL database.